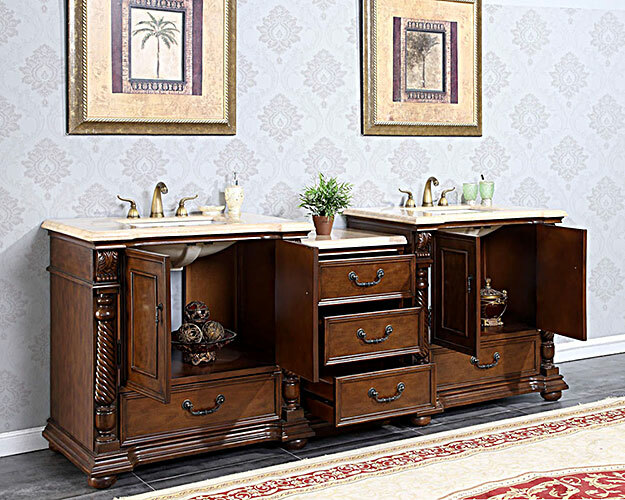 The 91.5" Sidonius Double Sink Vanity puts forth Roman themes with elegance to give you a vanity that shines above the rest. 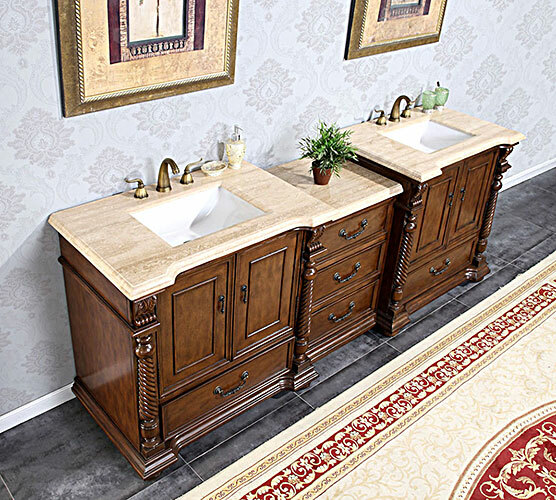 Featuring a warm Walnut finished cabinet that's matched with a regal Roman Vein-Cut Travertine top, the Sidonius is a vanity with style on every inch of it. It offers two large double-door cabinets with four fully-functional drawers of space. Each of the drawers are equipped with full-extension ball-bearing glides. Each side of the sink is pre-drilled with three faucet holes in a standard 8" spread. Faucets are not included.